The 3DChart component is a powerful charting tool using the OpenGL 3D engine to display 2D and 3D business, scientific and presentation charts. It supports all basic charting types with lots of different style and logic variations. All chart type combinations can be simultaneously displayed. 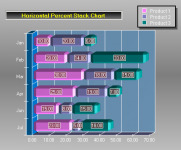 3DChart has four vertical axes plus one category and serie axis. It has an integrated legend. The data can be extracted from an ADO data source. Fill Effects and materials can be applied on all chart elements including individual data points and texts. The component is COM and .NET compatible. 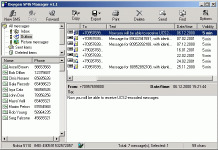 The key features of the component are: Â·32- bit ActiveX component for Visual Basic and other ActiveX compatible environments (Visual C++, Delphi, Microsoft Office and many more). Fully supports the .NET environment. Â·Build on OpenGL technology. 3DChart simply shines on machines with OpenGL accelerated video cards. Â·Specially optimized for speed and memory performance. 3DChart can display thousands of data points with ease and at the same time is guaranteed to have a small memory footprint. Â·Easy and comprehensive and yet powerful object model - no matter what experience you have in charting you will literally be able to create complex charts in hours. With 87 objects containing 557 properties and 442 methods 3DChart is one of the most powerful charting tools available on the market. Â·State of the art Microsoft - like visual interface available at runtime. 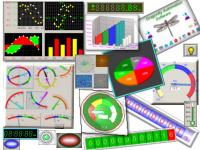 Â·Ability to display 23 chart types with lots of different style and logic variations and unique visual effects. 3DChart enables you to create presentation quality `out of the box` charts with ease. Â·More than 30 predefined financial and statistical functions. Â·Ability to display multiple charts in the same charting canvas and describe them on one or more legends. This feature of 3DChart is just unique. Â·Integrated HTML help systems and examples in VB, VB7, ASP, ASP .NET, C++, C#, IE, Acess, FoxPro, Word and Excel.